Woodward Music Teacher Mandi Rederstorff leads first-graders in a dance Wednesday afternoon during a dress rehearsal for Woodward’s annual holiday program. The free concert will be held today at 7 p.m. at the Willis Education Center. 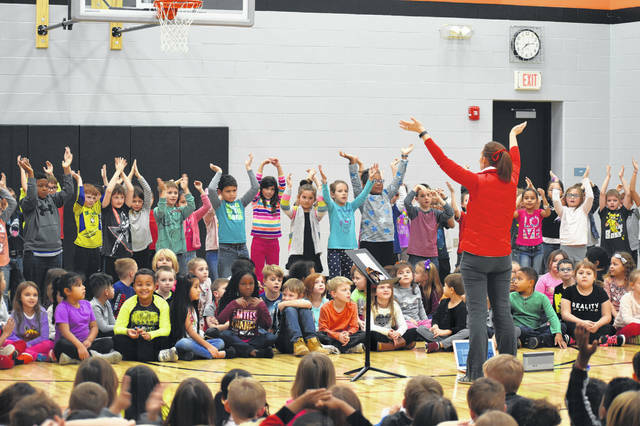 This evening, first-graders and second-graders at Woodward Elementary School will be performing 10 holiday songs and dances at Willis as part of an annual program. They will perform again today at 7 p.m. at the Willis Education Center, 74 W. William St., Delaware. The event is free. Rederstorff said the concert meets Ohio education standards and gives the students a chance to show off what they’ve been learning in music class. Rederstorff said she’s been involved in the concert for the last 16 years, and since the school has grown, she’s seen more attendance and more involvement from the community. 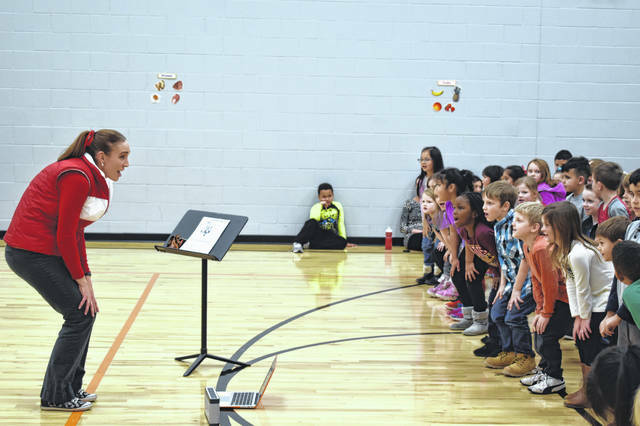 https://www.delgazette.com/wp-content/uploads/sites/40/2018/12/web1_DSC_0004.jpgWoodward Music Teacher Mandi Rederstorff leads first-graders in a dance Wednesday afternoon during a dress rehearsal for Woodward’s annual holiday program. The free concert will be held today at 7 p.m. at the Willis Education Center.